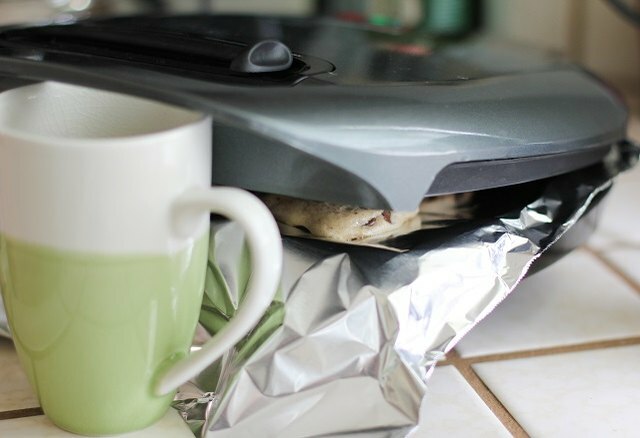 The versatility of a George Foreman Grill knows no bounds. While the indoor grill is typically used to cook meat and vegetables, you can make anything from breakfast to dessert in just a few easy steps. 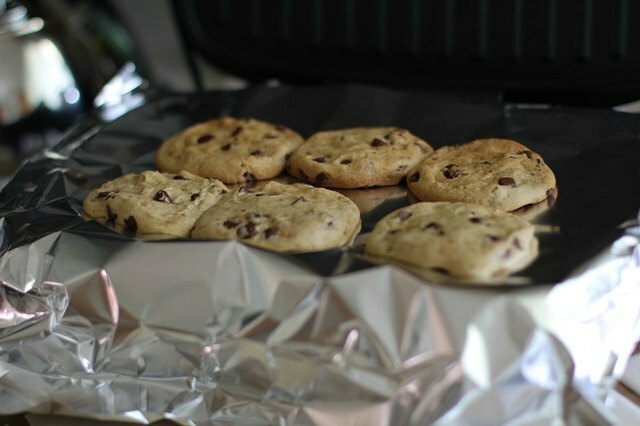 Below are instructions on how to make eggs and cookies, as well as links to other recipes that you can try on a George Foreman Grill. The grill is ready when the green light turns on or after about 5 minutes of preheating. If your grill is downward sloping, prop it up so the surface is level. 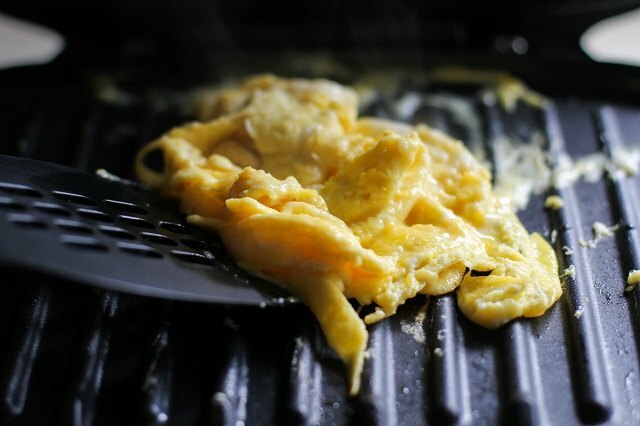 Carefully crack the eggs close to the grill surface so the whites don't spread very far. Cook uncovered until the egg whites set up, about 3 minutes. 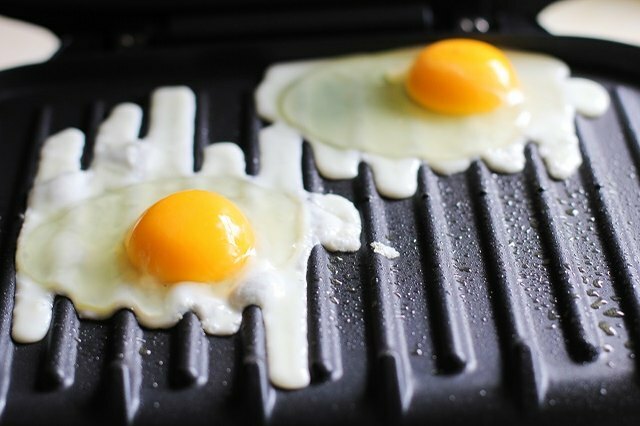 Use a spatula to lift the eggs gently from the grill. 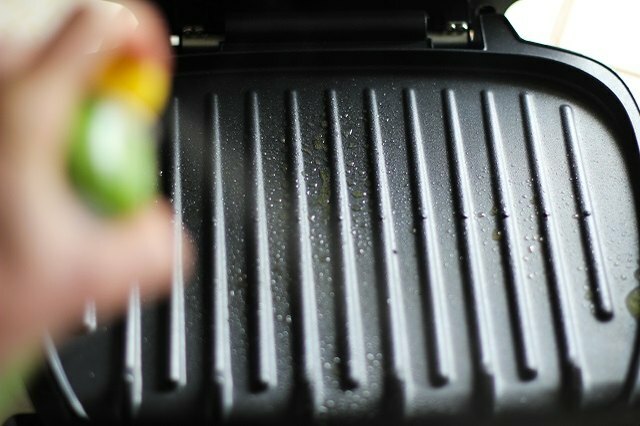 Preheat on your grill's highest temperature setting for about 5 minutes, and then coat the surface with cooking spray. Pour the beaten eggs slowly in order to control where they spread. 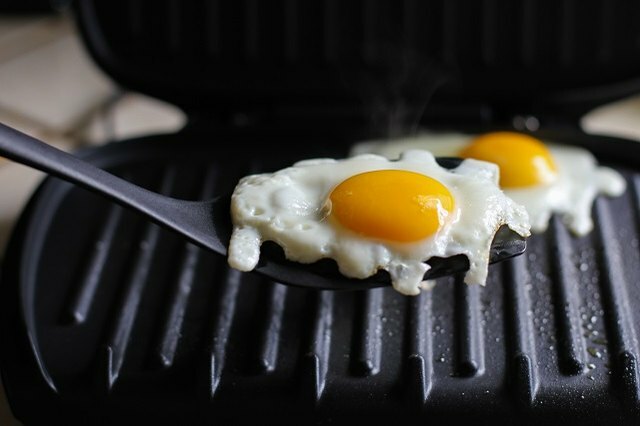 A small George Foreman can cook about 3 eggs at a time; larger models can accommodate more eggs. Allow the eggs to cook, untouched, until they begin to set up. Use a spatula to turn the eggs. 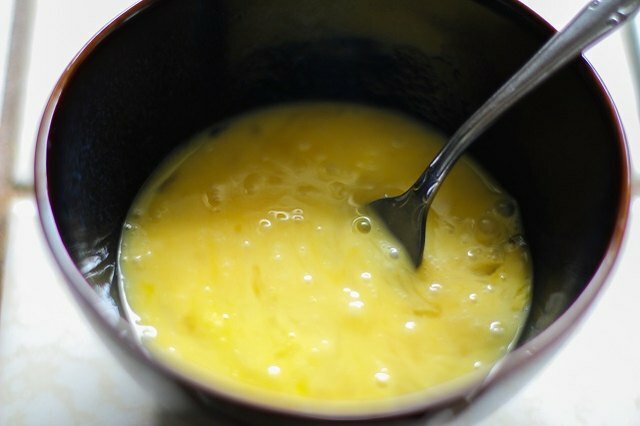 Cook the eggs until they reach your desired doneness, about 3 to 5 minutes. Lift them from the grill with the spatula. You can also make an omelet by adding vegetables and/or cheese while the eggs are cooking. 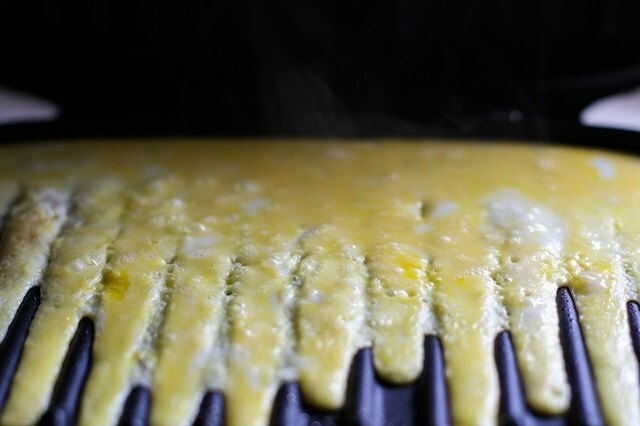 Fold the omelet using a spatula. 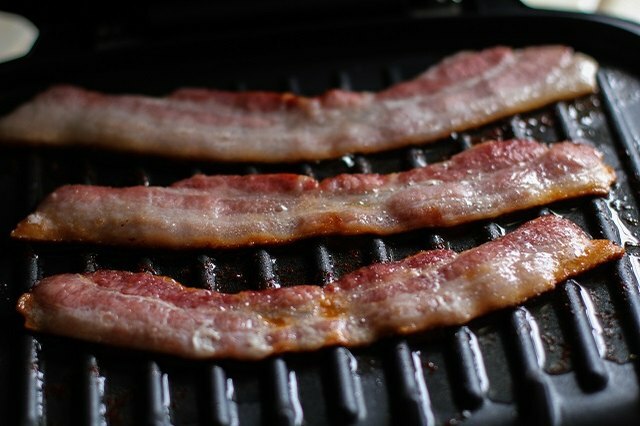 Thick-cut bacon is recommended, as thinner bacon may stick to the grill and can be more difficult to remove when cooked. Note: There is no need to coat the grill with cooking spray when cooking bacon. Leave some space between each strip of bacon as you place it. 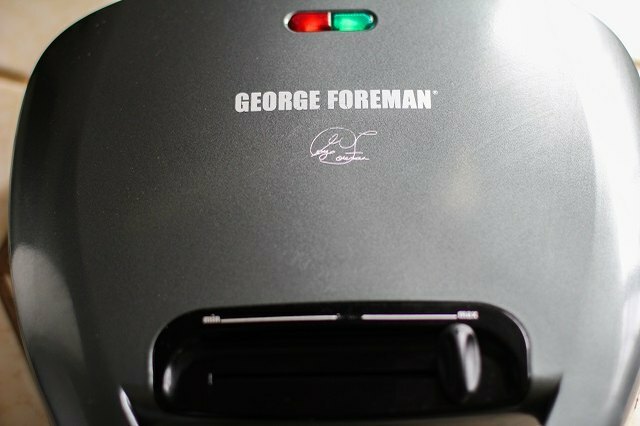 Smaller George Foreman Frills can fit 3 strips of bacon. Pull the lid down over the bacon, and allow it to cook until it reaches desired crispiness. For tender bacon, cook about 3 to 5 minutes. 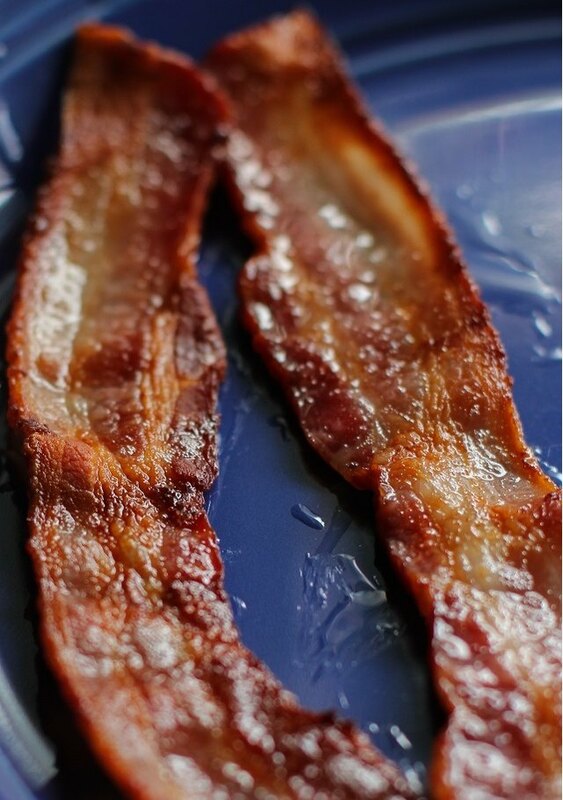 For crispy bacon, cook about 5 to 8 minutes. 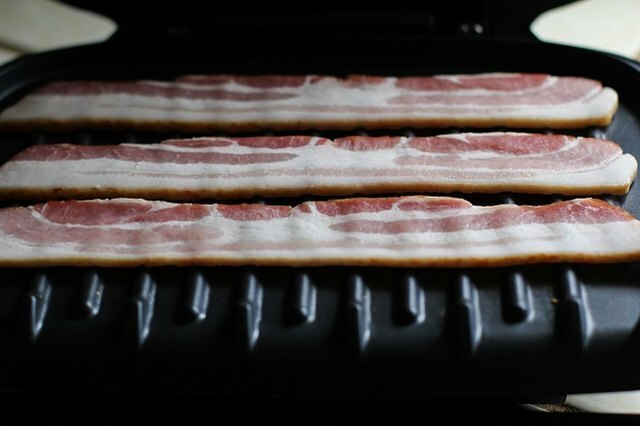 Be sure to put the tray underneath the grill, as bacon drippings will run off of the surface. Place a sheet of aluminum foil on the grill, and preheat on your grill's highest temperature setting. You can also use the removable baking plate made for Foremans if you have one. 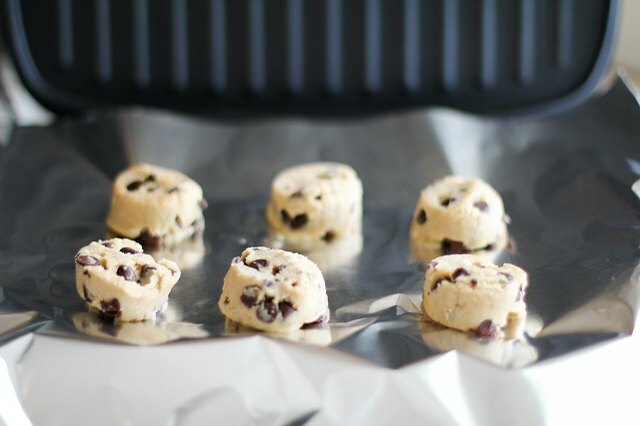 Evenly space the dough balls on top of the foil so the cookies have room to spread. Small Foremans can fit 6 balls of dough. Use a mug to prop up the lid of the grill so there is about 1 inch of space between the cookie dough and the lid. Cook 10 to 15 minutes, or until the cookies are golden brown around the edges. If using prepared cookie dough, follow the instructions on the package. You can use frozen, thawed or homemade dough. 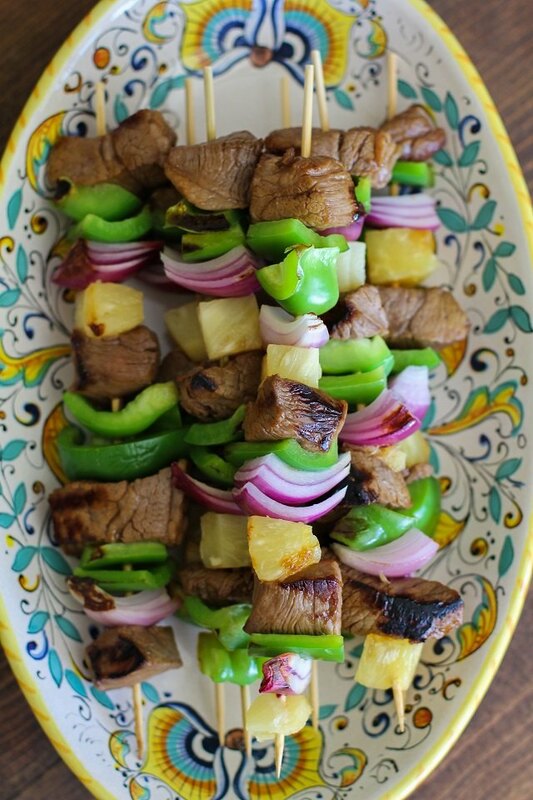 Shish kabobs: Fire up the Foreman, and make these kabobs in less than an hour. 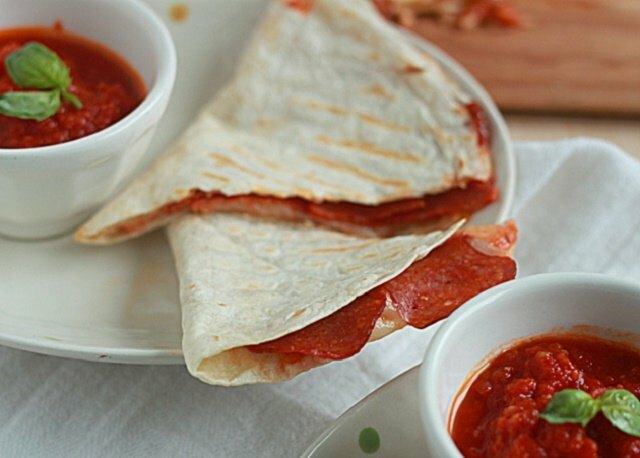 Quesadillas: Make your favorite quesadilla extra crispy on the George Foreman Grill (or panini press). 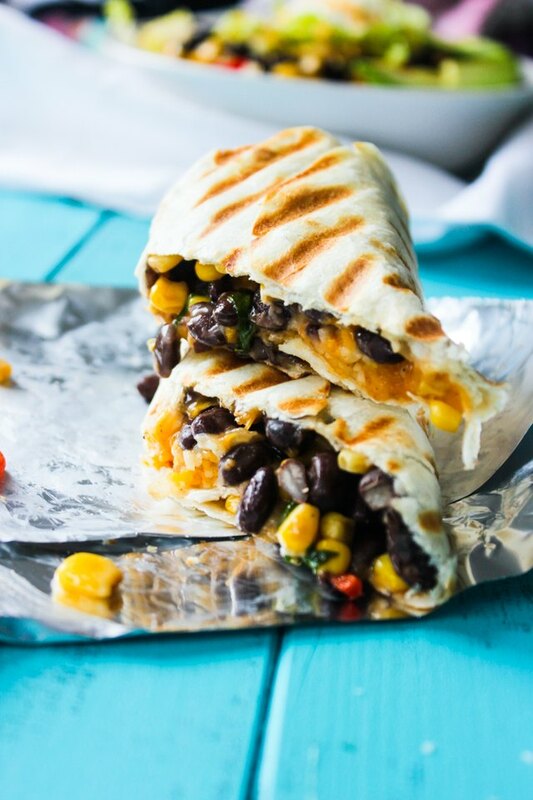 Burritos: They're always better with grill marks! 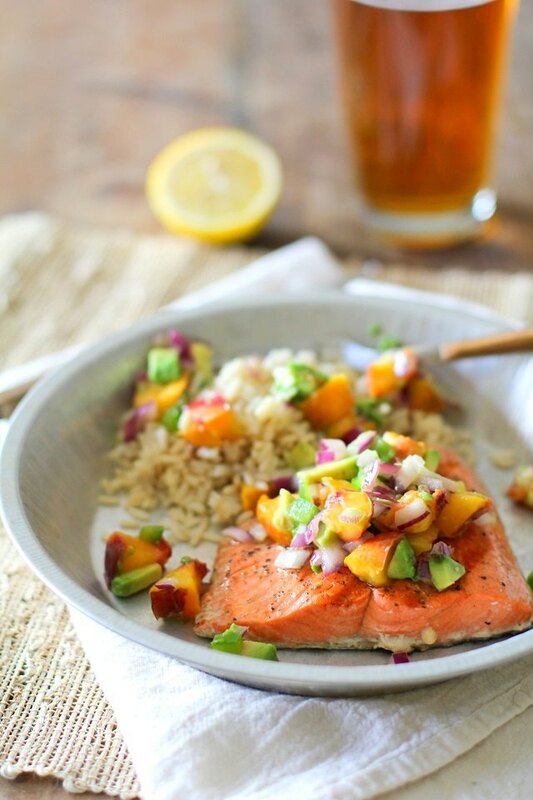 Salmon: The George Foreman Grill is an easy and foolproof method for cooking seafood. Try a grilled peach salsa as an accompaniment. 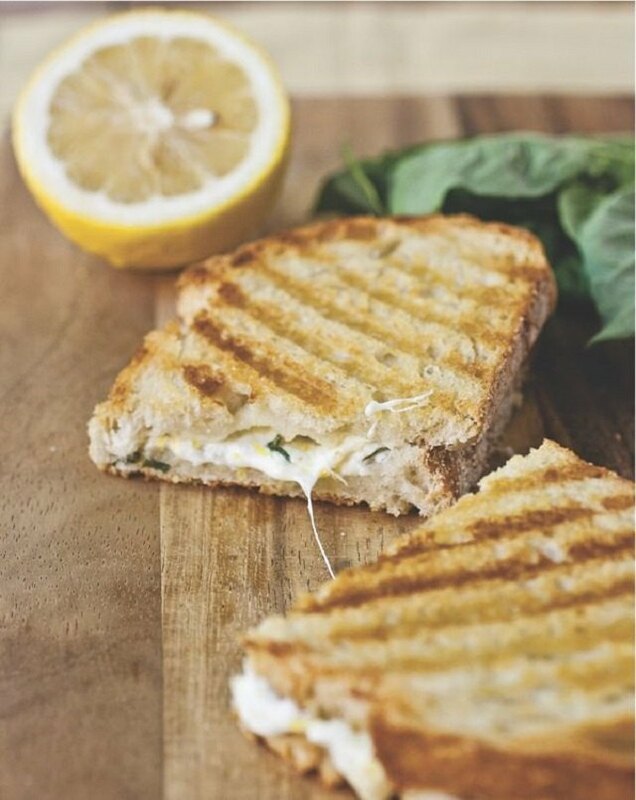 Paninis and grilled cheese: Use a George Foreman Grill in place of a panini press to whip up all sorts of delicious hot sandwiches. 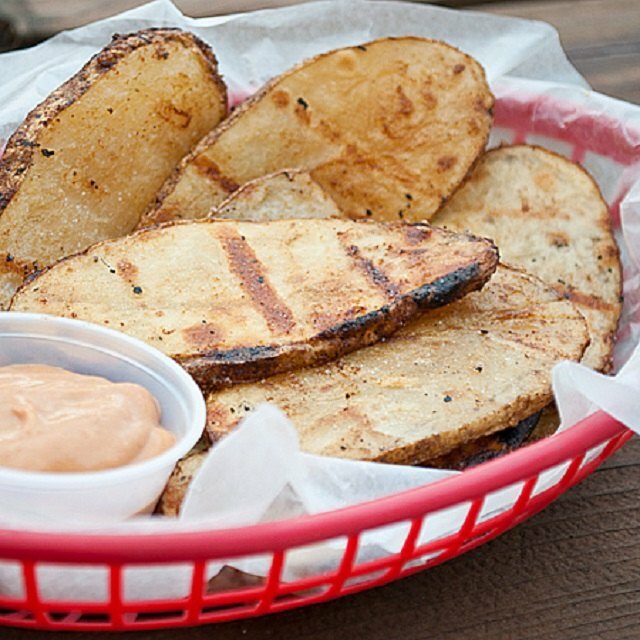 Grilled potatoes: Add a crispy char and flavor to your potatoes. 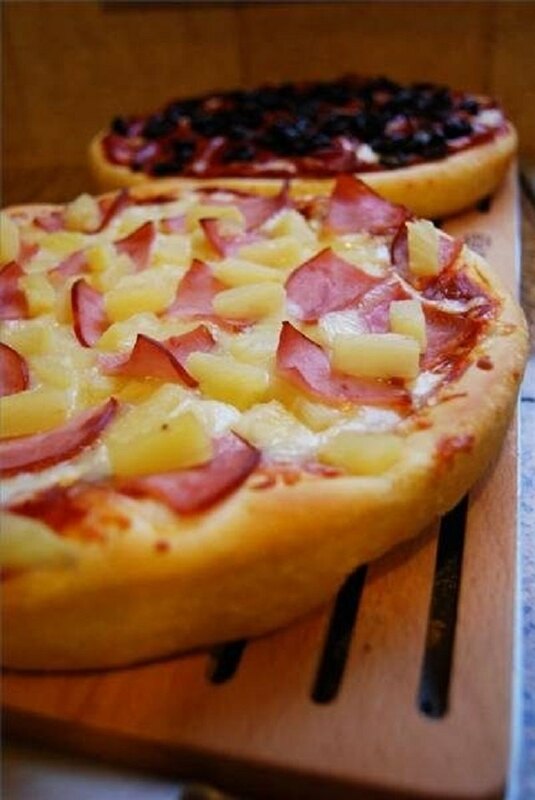 Pizza: Use George Foreman's pizza cooking plate to cook a pizza on your grill. 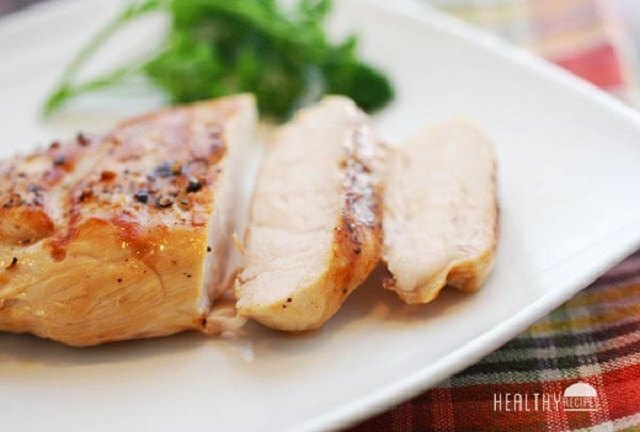 Chicken: An easy go-to for any night of the week. These grilled portobello mushroom caps are flavored with a balsamic, garlic-based marinade and filled with a refreshing summer caprese salad.